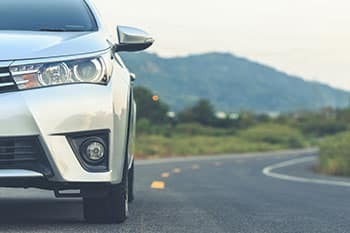 WILLOWBROOK, TX (April 12, 2019) – A 12-year-old boy is in serious condition from a rear-end collision. The car accident happened Thursday around 11:30 p.m.
A mother was driving with her two sons, a 3-year-old and a 12-year-old when their SUV began to slow down. The mother pulled to the side of the road and put her flashers on when a white Infiniti collided into the back of her vehicle. The mother and toddler were not injured. The 12-year-old was in the front seat and was not wearing a seat belt during the collision. He was taken to Houston Northwest Hospital where he remains in serious condition. The driver of the Infiniti was a woman in her 20s, but she has not been identified. There was a female passenger in the car. Authorities state the driver was intoxicated during the crash. No charges have been filed at this time. However, if authorities prove she was intoxicated at the time of the accident, she could face a charge of intoxication assault. If the boy dies, she could be charged with intoxication manslaughter. If you or a loved one were involved in a car accident, it is important to contact a legal expert to help you evaluate your options. Call (713) 987-7111 or send us an email to discuss your accident injury case.